STEM is an acronym for Science, Technology, Engineering, and Math! STEM and STEM initiatives have been increasing in attention and popularity all over the country among kids and educators because of the lack of students pursuing degrees in these fields and a lack of skilled minds in these fields among employers. What is "The Magic of STEM?" 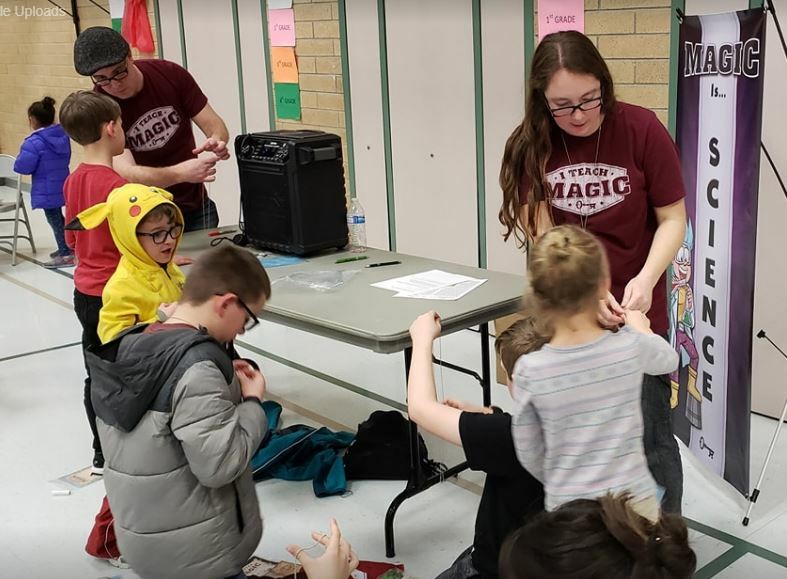 Here at Utah Valley Magic Academy, we offer a 2-hour STEM program designed as a 'STEM Night' for elementary schools! You see, at it's core, all magic tricks have some sort of Science, Technology, Engineering, or Math (or a combination of all) as the secret behind how the trick works! 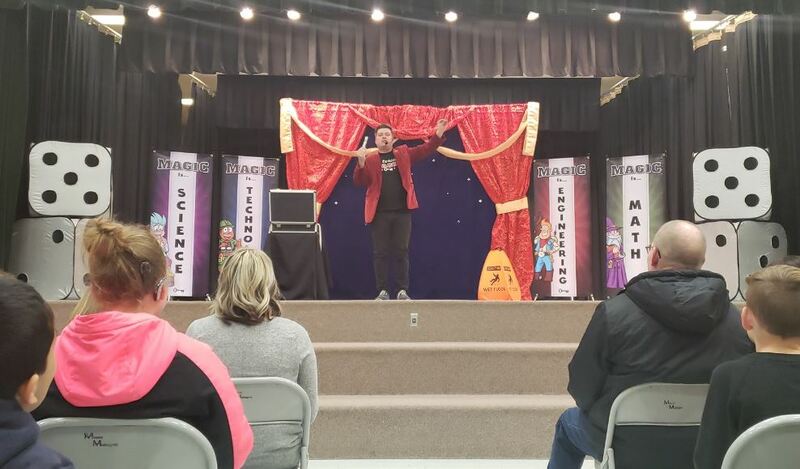 Magic tricks are fun by nature, but by showing kids that the real secrets to how the tricks work is STEM, that opens a whole new way of looking at the world to being able to solve problems in very creative and unique ways! 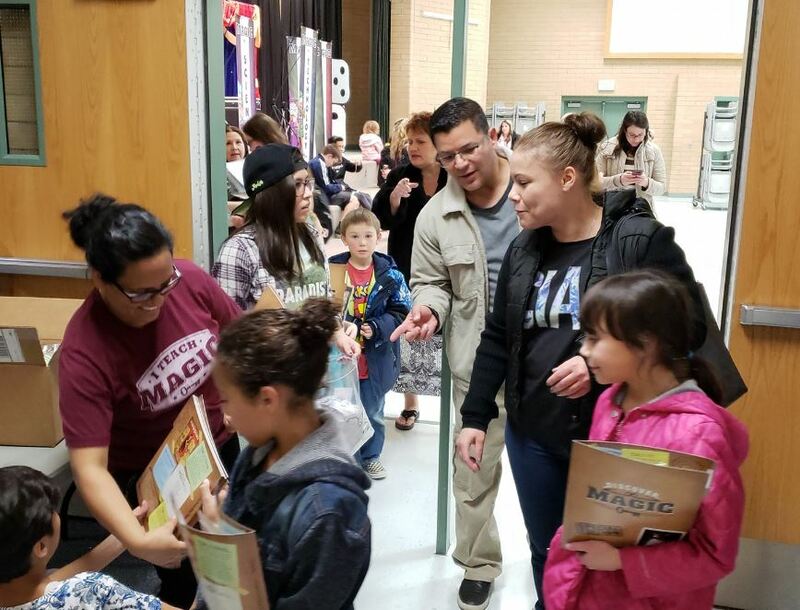 You can bring our Magic STEM Night to YOUR Elementary School! That's right! We'll set up an AMAZING Night for your students that will be talked about for weeks after it's passed! Invite your students and their families! We'll start the night off with a 45 min presentation involving a Fun and Educational look at what STEM is and how Magic is STEM! After that, your students and their families will break out into 4 different workshop stations (Science Station, Technology Station, Engineering Station, and Math Station) where they will all learn a magic trick related to that STEM principle, and they will keep a special magic prop! At the end, the students will receive a Secret File Folder with some BONUS tricks related to STEM! Contact us TODAY to set a no obligation appointment with us and your school's Principal, or PTA President, or whomever is in charge of school activities and events! We will show you a sample of the materials and can review the cost to bring this AMAZING, FUN, and EDUCATIONAL STEM Program to you school! Whether you're a Title 1 school, Charter School, Home-school group, or anything in between, your students are guaranteed to learn, and get those creativity juices flowing, and they will be excited to continue learning about STEM!